The decision to buy a home always involves a great deal of stress as you decide on the many variables that are involved with making the biggest purchase of your life. How much can you afford? What neighborhood should you choose? There are so many questions and so much research required to make the wisest decisions possible. Saving as much money as possible is obviously one of your major goals. Let us take a look at six smart strategies for saving big bucks on your next home purchase. 1. Have A Clear Understanding Of What You Actually Need. What you need and what you want are usually two different things. So start from the beginning and analyze your basic needs before you do anything else. Decide how much square footage you will require to live comfortably. 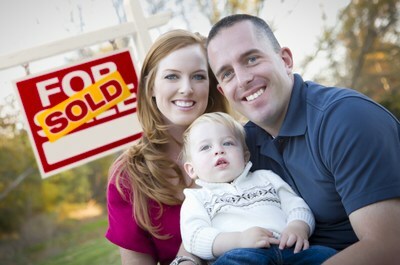 Consider location, which is the single most important factor when purchasing a home. Is the neighborhood nice and likely to be upwardly mobile? Remember, the most beautiful home in an undesirable location is not a wise move. Conversely, a fixer-upper in a prime location can be a smart investment. 2. Get A Clear Understanding Of What You Can Afford. Take the time to consult with a lending professional and a tax professional. Learn your debt-to-income ratio and your payment-to-income ratio on your projected home purchase. Your payment-to-income ratio will compare your income to the mortgage payment you’re considering. Do not forget there are four components to a mortgage payment: principal, interest, taxes, and insurance. Look at the final, total payment and compare against your budget. Is this an amount you can cover without stress? 3. Scrutinize Your Lending Package Carefully. This is an area where you can save thousands of dollars. For instance, a 15 year loan may cost a little more on the monthly payment but will be paid off in half the time. See if you can afford the payment on a 15 year loan. Carefully consider whether it is to your advantage to pay points for a lower interest rate. Sometimes it is and sometimes it is not. A point is equal to one percent of the purchase price of your property, so this can amount to a substantial sum. How long will it take you to recover the amount you paid in points when balanced against the lower payment? Shop for the best financing package you can possibly get. 4. Choose A Knowledgeable And Experienced Buyer’s Agent. Never try to purchase a home on your own. Typically, sellers pay the real estate broker’s commission, not the buyer. It costs you nothing to use an experienced and seasoned real estate broker or buyer’s agent. Such a professional can save you thousands of dollars when negotiating a sales contract as well as headaches down the line. 5. Know How To Evaluate The Value Of Your Home. Do your homework. By researching the comparable sales and home values in the area you are considering you will be able to effectively evaluate the true value of the home you are considering and not overpay. This is a savings that could potentially be in the thousands of dollars. Your real estate professional can help you in this regard. 6. Ask About First-Time Buyer And Other Special Programs. There may be special incentives or programs if you are a first-time home buyer or if you have chosen a particular area where renovations and renewal projects are going on. Sometimes there are special government programs in select neighborhoods that are trying to rebuild or renew an area that is somewhat rundown or not very much in demand. These renewal programs will offer special incentives such as a rehab allowance to fix up a home when purchased in these areas. In every case, ask your real estate professional about such special programs and see if they apply to you. we will be moving from Boston to Palm Springs are in next 2 years. You’re welcome! Feel free to call or email anytime with questions!